This article is written by Linda Kekelis and was originally featured on the Coalition for Science Afterschool's blog. Last month the National Girls Collaborative Project (NGCP) kicked-off it's California state affiliate, CalGirlS. Next week CalGirlS will begin accepting applications for mini-grants, which are awarded to girl-serving STEM focused programs to support collaboration, address gaps and overlaps in service, and share best practices. As a proud partner with CalGirls, the Coalition for Science After School presents this example of a successful mini-grant project to inspire you to apply for an NGCP mini-grant! What is life in the dorms like? Do you have a lot of homework? Are classes hard? Do you get homesick? The girls in Techbridge have lots of questions when they meet up with college students. They want to know what college life is like and if they have what it takes to study engineering or computer science. Role models who are one step ahead of our girls are just right for providing the academic guidance that girls need and the personal stories that girls want. Six years ago Techbridge and the Alumni Relations Office at the College of Engineering at U.C. Berkeley applied for a mini-grant from the California Girls Collaborative. This grant helped to seed a new partnership and has proven to be a win-win for both groups. Techbridge offers training and support for students and alumnae at the College of Engineering. The Alumni Office helps recruit volunteers and host trainings. The result—well prepared role models lead activities in Techbridge after-school programs and open their research labs at the university and corporate sites for field trips. Benefits go both ways. 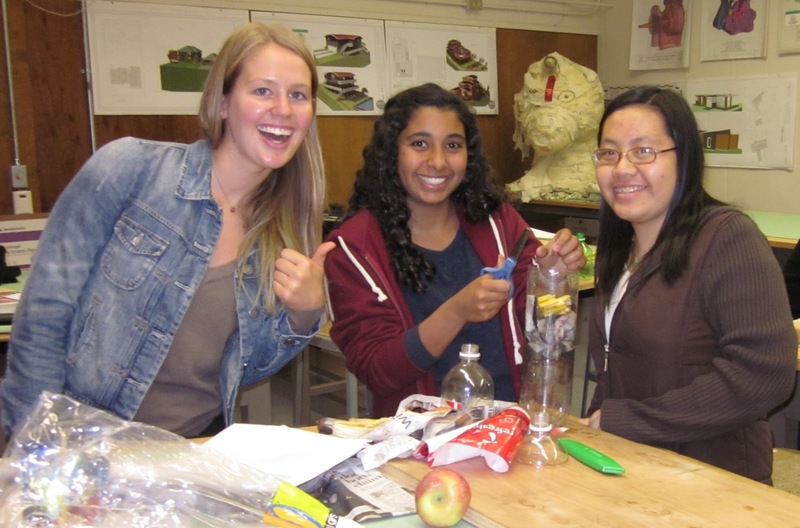 Girls discover how engaging engineering can be and what it takes to prepare for majoring in engineering. For girls who are first in their families to plan to go to college, these encounters are especially impactful. College students talk about scholarships that help cover their tuition and offer practical advice on courses to take in high school and internships to explore in summer. Role models find that they have just as much fun as the girls and leave inspired and reminded of why they chose engineering. An added benefit for the college students—they meet alumnae and establish mentoring relationships that may help them make networking connections and land a job when they graduate. Over the years, Techbridge has trained more than 100 role models through this collaboration with the Alumni Relations Office at the College of Engineering at U.C. Berkeley. We continue to partner and held another well-attended training this fall. The program has come full circle and not only have Techbridge girls gone on to the Engineering program at U.C. 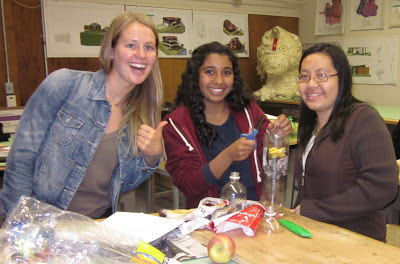 Berkeley, these young women are also coming back to Techbridge and volunteering as role models. I encourage you to reach out to a new partner in your community and start a collaboration. You never know where it will take you. I look forward to hearing about your success stories that result from a mini-grant from the California Girls Collaborative Project. To apply for your mini-grant visit http://www.ngcproject.org/mini-grants. Techbridge offers hands-on science, technology, and engineering opportunities for girls and partners with Bay Area school districts. Techbridge also works with local and national partners to support youth’s engagement in STEM out of school. Want to learn more about Techbridge, and find resources for supporting role models or STEM curriculum to inspire youth in your community? Visit our website at www.techbridgegirls.org.